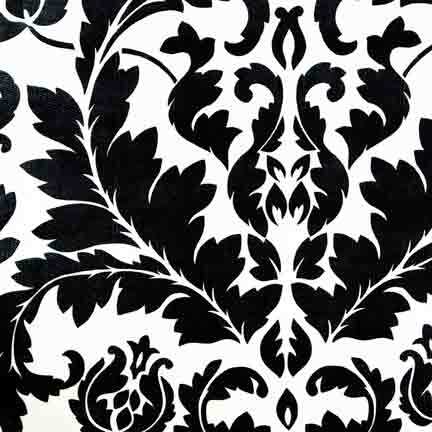 This beautiful print on soft brushed satin is another twist on the black and white theme. It works very well with contemporary accents and bright colors. We carry a matching tablecloth and napkin.